Our 2018 Best E-commerce Hosting Award goes to InmotionHosting.com, an industry leader in offering business-oriented e-ccommerce web hosting solutions. 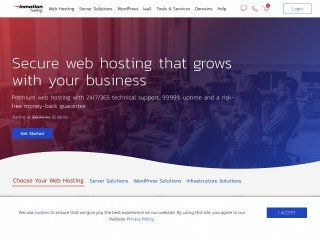 Whether you require a simple personal or business website, a more powerful virtualized environment, or your own dedicated server, InMotion Hosting makes a fine choice for all your web hosting needs. Our "Best eCommerce Hosting Award" goest to InMotion Hosting, a hosting company with a unique focus on the business segment. It is custom-tailored to meet the needs of the average eCommerce user in both feature sets and pricing scheme. The company was given the award and special consideration because of its unique hardware and software pairing, its impressively comprehensive customer support network, and its commercially viable monthly rates. InMotion Hosting features one of the most unique advantages in shared hosting we’ve ever seen. 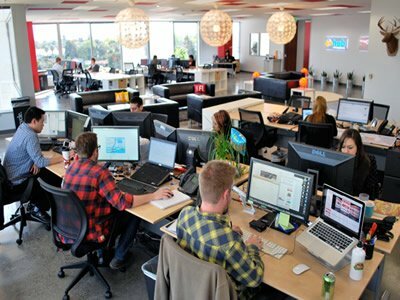 The company offers data centers located at centralized West Coast and East Coast locations, each with specific "Max Speed" zones for optimized uploading and management speeds. 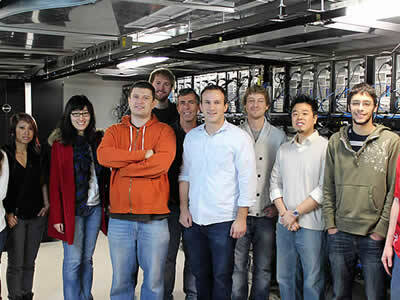 Because of this unique server placement, users of InMotion Hosting can enjoy server speeds up to six times those of the provider’s competitors. 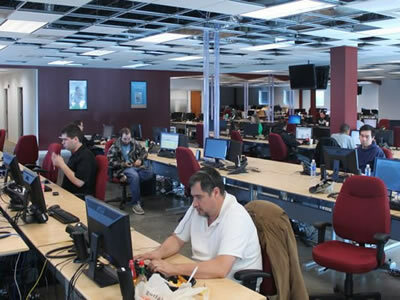 In addition, the company also features a unique software management system to work alongside its hardware set in the form of peer-based networking. InMotion uses the strength of many servers working in a combined manner to increase up-time, improve stability, and solidify connection speeds along the higher end. We’re also enamored with InMotion Hosting’s affordable business and eCommerce-minded pricing schemes. The provider’s monthly rates with eCommerce support start at only $6.99 a month, before topping out at $15.99. 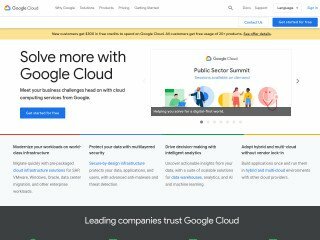 Even at such a low price, users are free to benefit from six distinct websites, up to 26 domains (as well as 100 subdomains), 50 MySQL databases, and 2,000 free FTP accounts. Customers are also unrestricted by data limitations, as InMotion Hosting’s plans support unlimited disc space, email accounts, bandwidth, and website hosting across the board. This means eCommerce users will never have to worry about scalability during high-demand periods like Black Friday, Cyber Monday, and holiday sales. Needless to say, InMotion Hosting was selected as “Best eCommerce Host” for offering 24/7, toll-free tech support that can be reached by both traditional land-lines, as well as via the Internet. The company provides stellar tech support that’s competent and field ready, making it a bargain solution for small eCommerce businesses and large operations alike that would rather not have to worry when problems arise with their digital storefront. 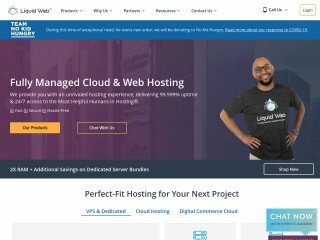 If you’re looking for a reliable, comprehensive, and unrestricted way to host your eCommerce site, InMotion Hosting is the most cost-effective way to go, bar none. 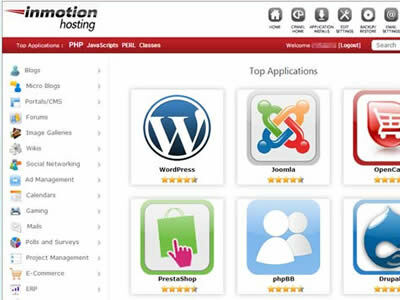 See latest InMotion Hosting customer reviews. Over the years, the e-commerce segment of the web hosting industry has grown by leaps and bounds. The reason for this growth? The growing number of businesses that have come to recognize the huge potential in selling products and services online. With the backing of a reliable infrastructure, e-commerce hosting can enable you to effectively showcase your catalog to the world and boost your bottom line in the process. 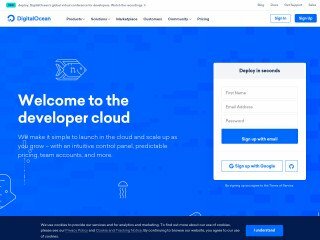 There are quite a few factors that distinguish e-commerce hosting from traditional hosting, and most of them have to do with the features. For instance, a typical package may come bundled with features, such as a free site builder, multiple email accounts and webmail, and a control panel that lets you manage all the vital aspects of your website. An e-commerce solution offers all these features and much more by putting special emphasis on features that are specifically designed for those who aspire to sell goods and services online. 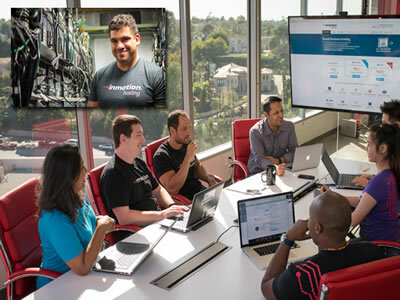 When you're looking for the best feature sets, the utmost compatibility with industry standard software, the most bang for your buck, and the most comprehensive technical support in town, Inmotion Hosting delivers. The web host brings the best of all worlds under one roof, providing unbeatable service at rock-bottom prices. A good e-commerce hosting solution will provide everything you need to create and manage an online storefront. This includes a comprehensive payment system complete with a fully functional shopping cart, support for third-party payment services, or both. Once your storefront is up and running, the only thing you have to worry about is fulfilling orders and delivering great customer service. Search engine optimization is vital for any business with a storefront online. E-commerce hosting companies often supply search engine submissions, keyword density analyzers, free search advertising credits, and other features with their packages. Tools such as these simplify the process of optimizing your site and boosting visibility in the SERPs. Security is important for any website, but even more so when that site involves monetary transactions and the exchanging of personal and financial data. A complete e-commerce solution will come with support for SSL certificates to ensure the highest level of security. Short for secure sockets layer, SSL uses strong encryption to protect the sensitive data of your customers as it travels over the insecure internet. The best e-commerce hosting provider is equipped with a reliable platform that makes sure your store will stay up and running, with a 99.9% uptime guarantee. 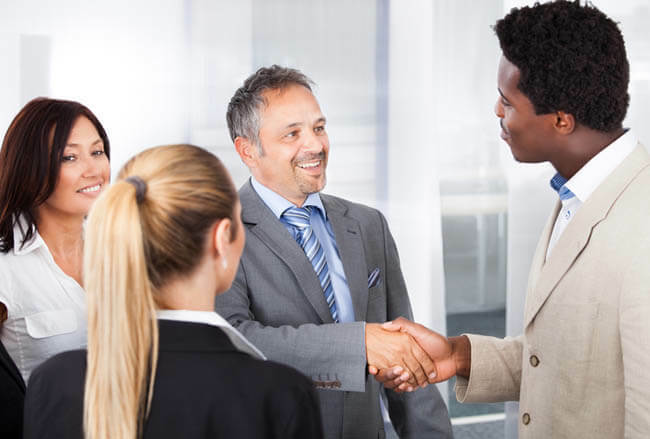 This is in addition to the around-the-clock customer service and technical support you need for an added peace of mind. Inmotion Hosting's state of the art facility equipped with the best breed of Dell PowerEdge and Sun Microsystems server hardware. The network is powered by advanced routing technology and actively monitored to ensure that issues are addressed as soon as they are identified. If you have never made a website before you will probably want to start with a builder that has an integrated shopping cart. With Inmotion's website builder you cart will automatically have your sites look and feel. It lets you organize your products easily by category, assign inventory levels, and add product attributes like colors. It also allows full merchant account integration with popular merchants such as PayPal, Authorize.Net and 2checkout.com. If you are thinking about more than maybe 20 to 25 products, it can be done, but the layout is more difficult to manage. You may want to consider one of the shopping carts below. Inmotion's packages support a lot of the most popular shopping carts by default. Inmotion's business class hosting comes with an easy auto installer. The carts available are OSCommerce, ZenCart and CubeCart. High traffic sites usually require a vps or dedicated server. In some cases, your merchant account provider will probably require a vps or dedicated for compliance reasons. Since InMotion sets up their vps and dedicated servers like their shared hosting it is easier to get your shopping cart installed. If you need the auto-installer you may need to pay for it, check with them. 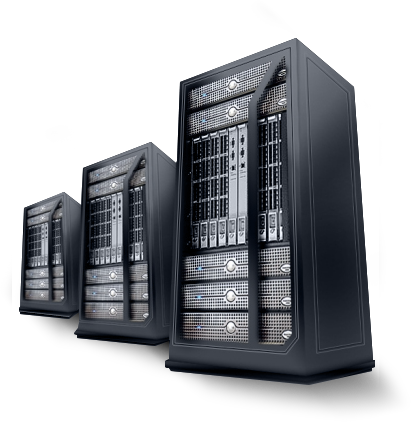 All the business class, vps, and dedicated servers support PHP, Perl, and MySQL. In many instances, the difference between a successful e-commerce store and a failure is not the actual products or services, but how the products and services are sold. To keep you from falling on the unfavorable side of things, we have provided some important features to look for in your shopping cart application. What Makes a Successful e-Commerce Site? E-commerce hosting is perhaps one of the most popular types of hosting plans, and is specifically designed to accommodate the requirements of online business owners. 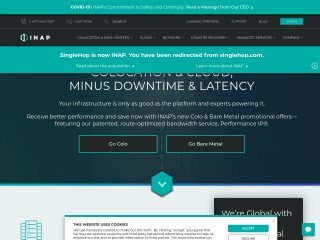 Online shops have unique needs that must be met by robust hosting plans that include a plethora of necessary components. Perhaps the most important component of an e-commerce hosting plan, which sets it apart from other types of hosting, is the site builder application included within the control panel. eCommerce is definitely one of the most profitable industries in the world for the small business owner, as it provides a unique global opportunity through which retail markets can be penetrated with very little effort and investment. Ecommerce hosting accounts give you everything needed to become a successful online business owner and open an internet shop that is aesthetically professional, however it cannot provide you with the right business plan or model.